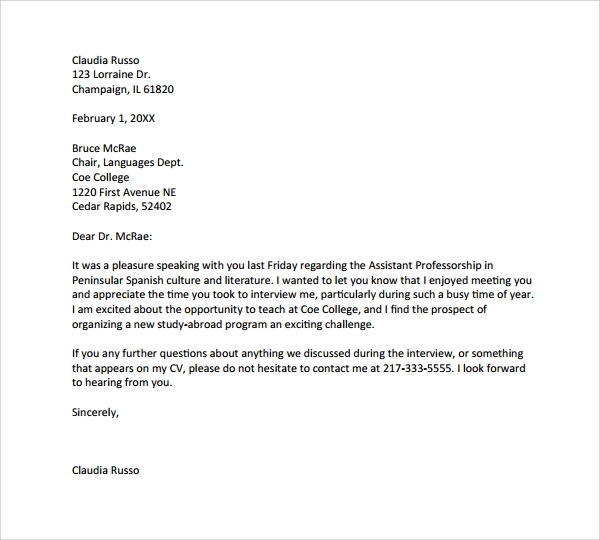 Interviews are not over once you are done meeting the interviewer. 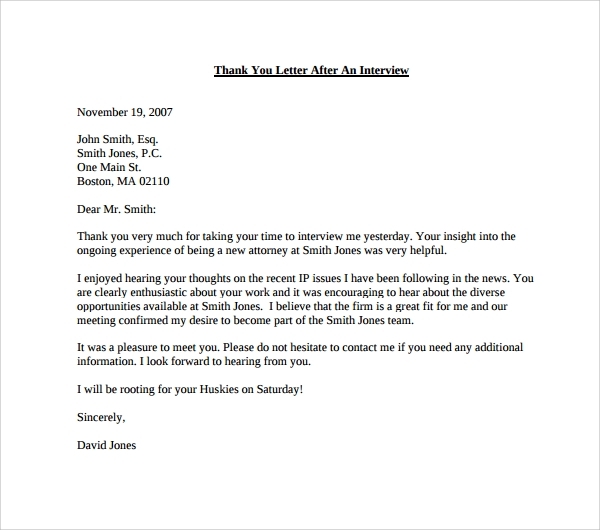 Sometimes a little gesture or some manners can make a whole lot of difference for you and are even likely to get you the job you are eyeing. 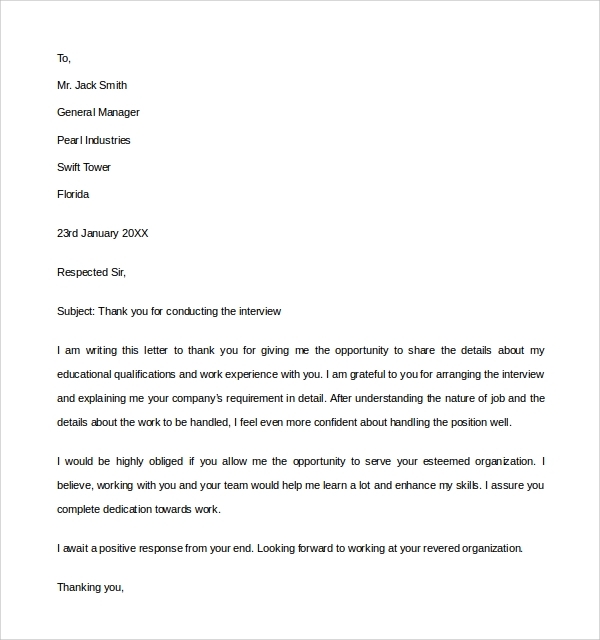 Post interview thank you letters can have a good impact because they can lead to your selection for being more considerate and even if you aren’t selected, the interviewer can remember you for it and it can sure help you in the future. 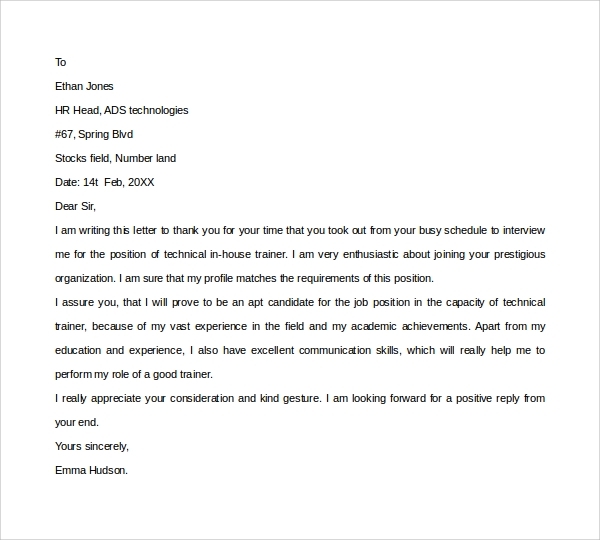 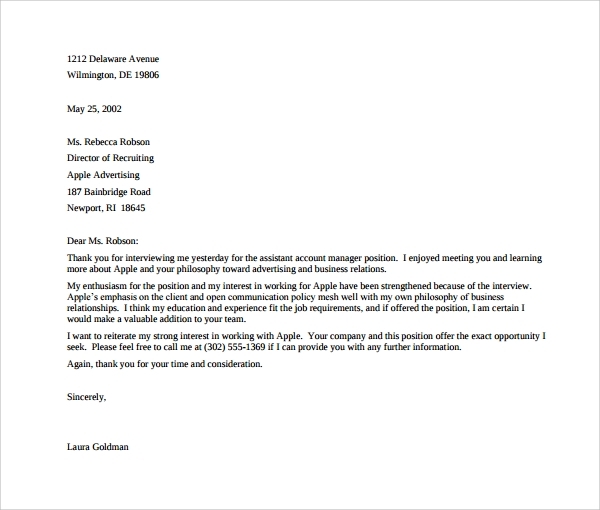 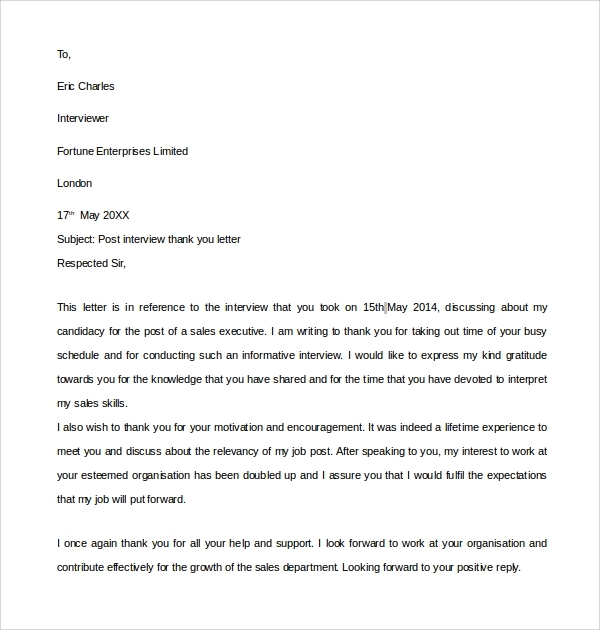 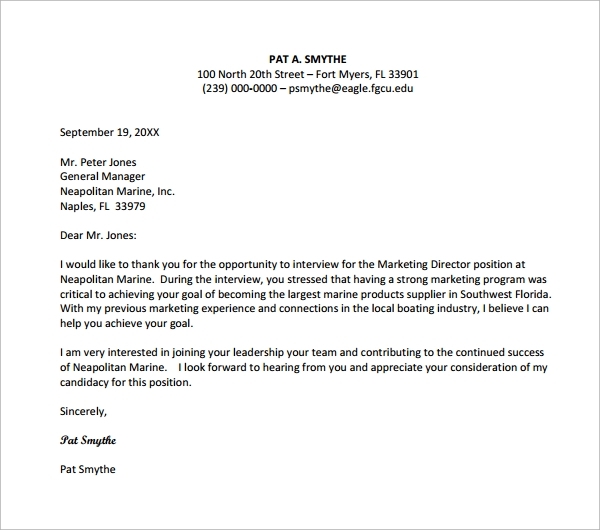 You can find some really good post interview Thank You Letter Format templates on this website which can help you to write letters that do not look too desperate and at the same time are pretty humble. 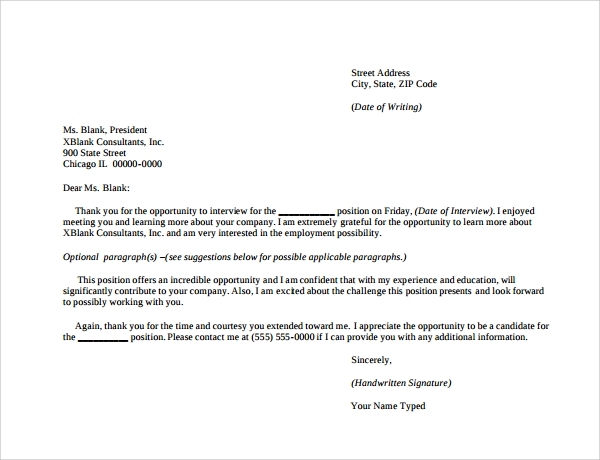 These templates are useful for all people who are seeking jobs in various companies from various sectors.